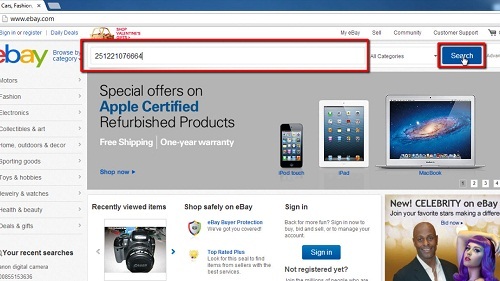 This tutorial will show you how to search ebay by item number which can be a great way to locate an item if you have been provided with just the item number. First, let’s quickly look at where to we can find these item numbers in eBay. Navigate to any item on the website, here we’ll just look at something appearing on our front page. The items page will load and you can find the item number slightly down the page and to the right. We are going to copy this here just to demonstrate how the search process works. 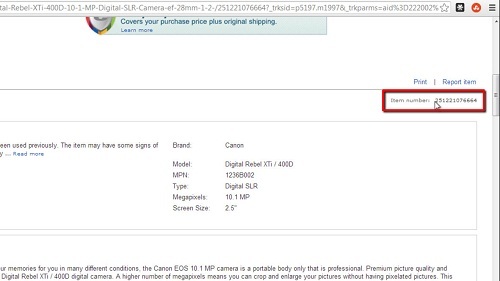 Navigate back to the eBay homepage by clicking the icon in the top left of the page. Into the large search box at the top of the page paste the item number and click the “Search” button. The search will bring up the item and that is how to search ebay by item number.